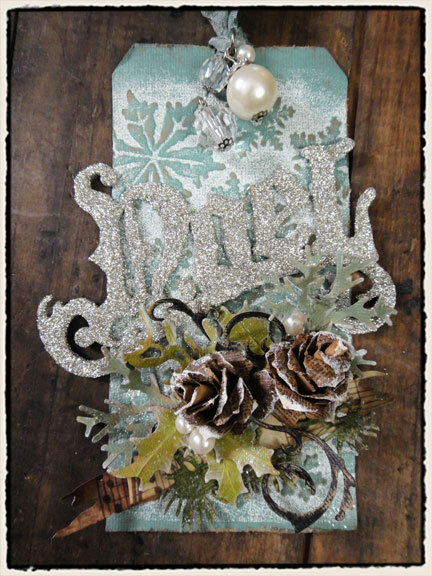 I guess its already Day 8 of the 12 days of Christmas and I have only just begun making my tags. 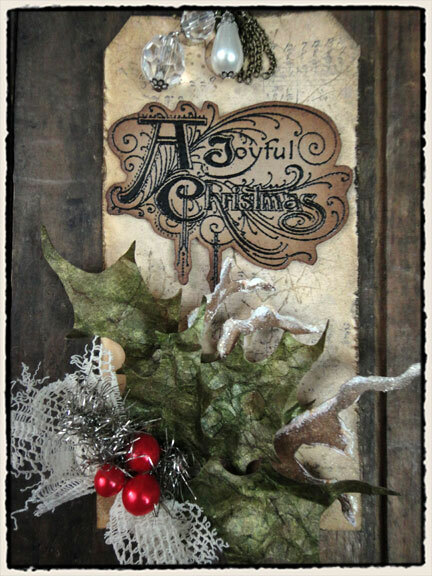 Starting last year I started following Tim Holtz website every December...even staying up till midnight until the newest tag is shown! I made lots of tags today...here are some in progress shots! I made some tags that were inspired by the Day One and Day Seven. And here are a couple that are inspired by this tag. 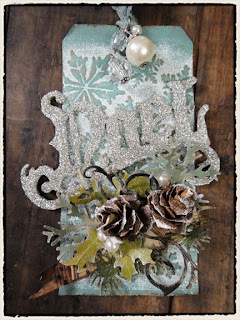 They are much simpler as I don't have nearly enough supplies to make this exact tag. And here is my take....Again much simpler! I don't have any kraft glassine but I did have some kraft colored tissue paper from Anthropologie! That's what I used to make the holly leaves. I will be making more tags tomorrow and this weekend so stay tuned! These are just beautiful Jenn! Nice job! Looks like fun! I love the snowflakes!